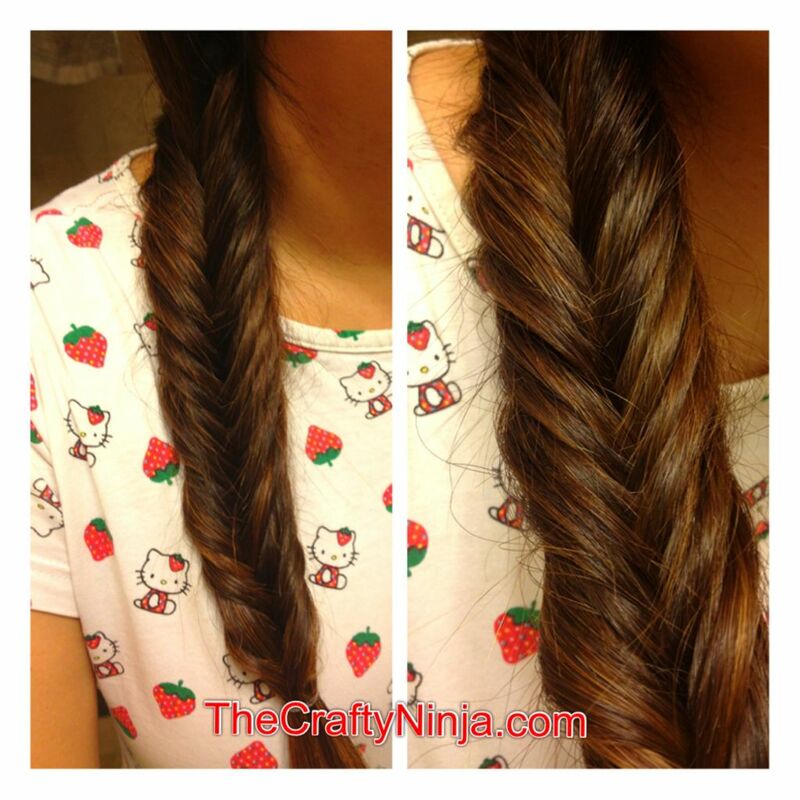 I’ve been seeing fish tail hair braids everywhere and always wanted to learn how to create this intricate looking braid. After watching this YouTube video I got the hang of how to braid and it was fairly simple once you get the braiding technique down. 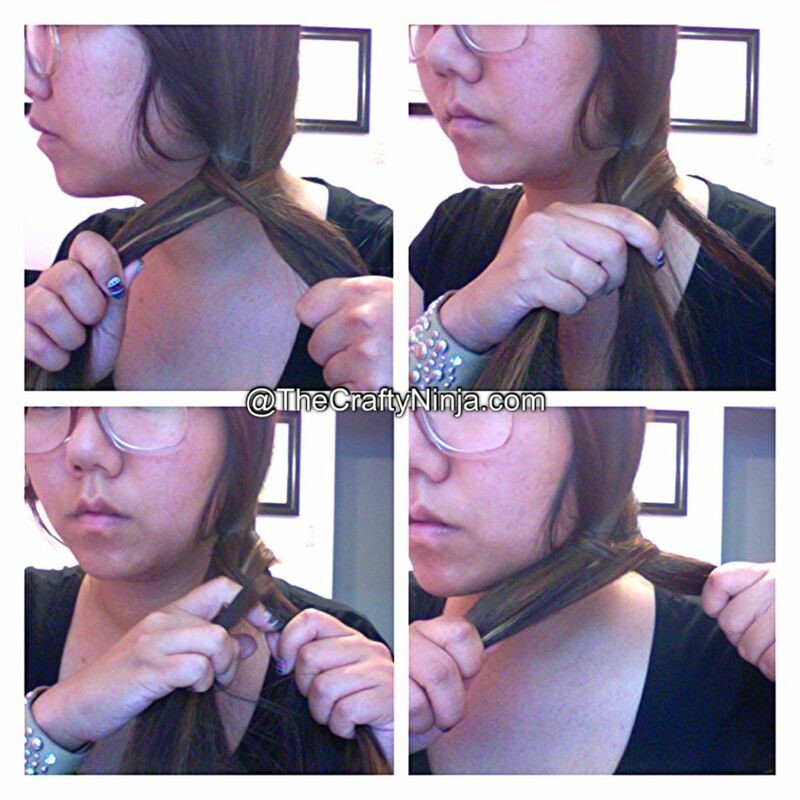 To start you will need an Elastic Hair Band and put it around your hair, do not double knot so that it is loose. 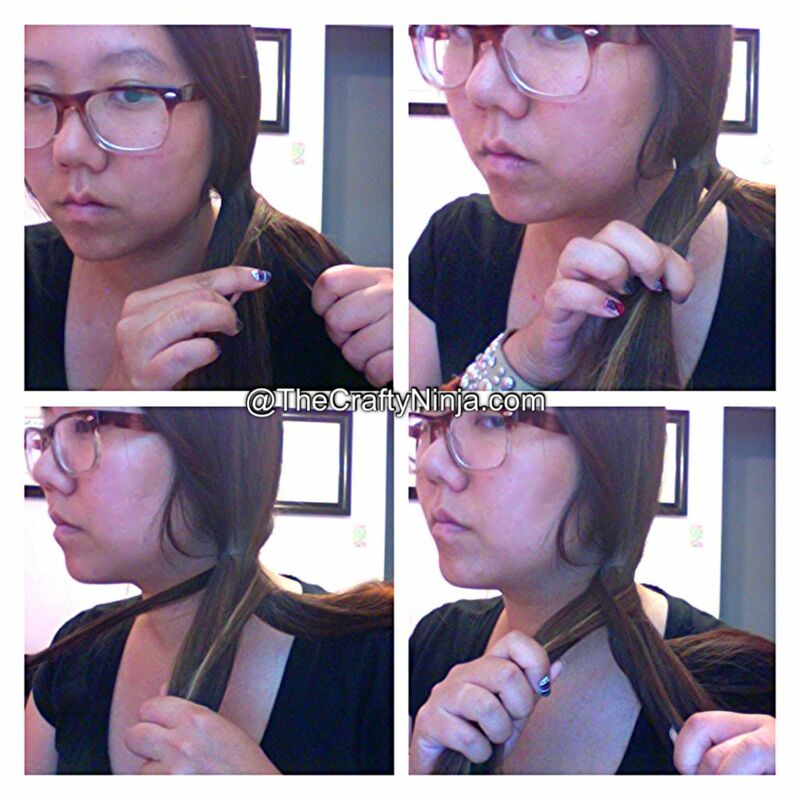 Split the pony tail into two sections. From the back on one side, I started on the right section, grab a small section of hair. With the small section of hair bring it around to the front, cross over, and add it to the opposite section on the left side and hold. Now you will do the same on the left, grab a small section of hair from the back, wrap around, add it to the right section and hold. 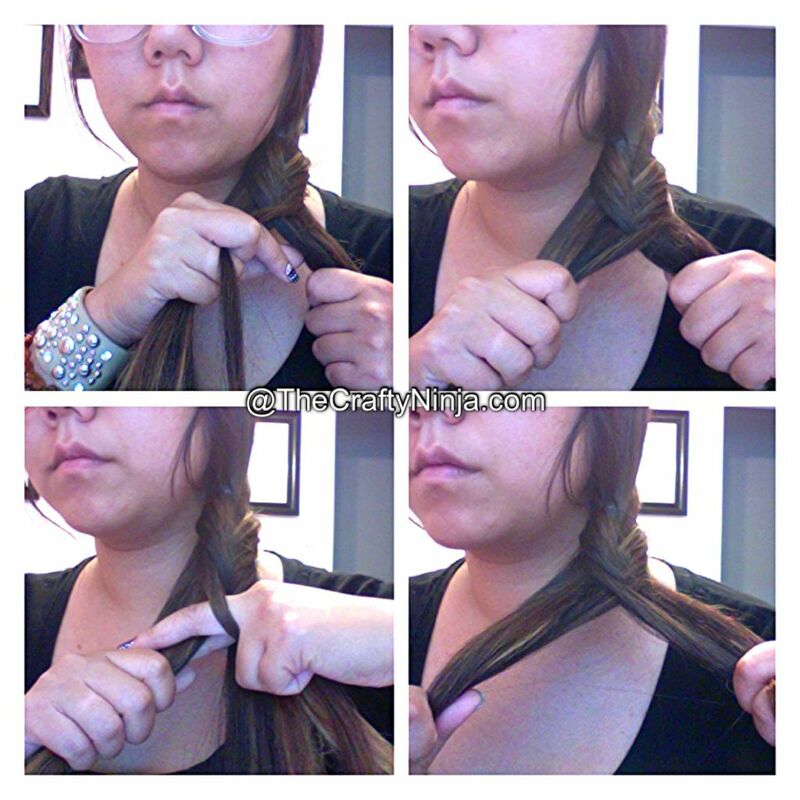 Basically keep repeating right to left, left to right, pull tight and this will start to create the fishtail braid, or X. 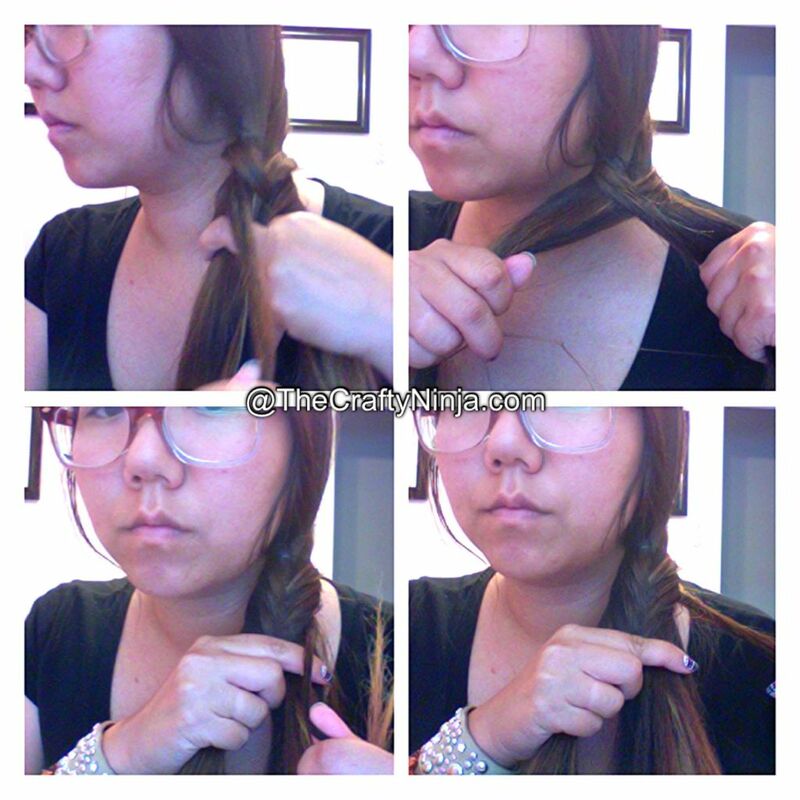 More images of me showing the braiding technique. Again remember pull a small piece of hair from the back of the right side, wrap to around to the front, and add it to the left side. From the left side take a small piece of hair, wrap it around to the front, and add it to the right side. Pull tightly. When you finish braiding I used the elastic that was holding my hair in place and slide it down and used it to tight the ends.